Leaving your baby in the hands of a stranger can be stressful. With so many daycares to choose from, the list can seem endless and overwhelming. The search for a perfect daycare doesn’t have to be a daunting task. As a matter of fact, we want to give you three simple tips so you can easily choose the best daycare for your sweet bundle of joy. Consider what you’re looking for in a daycare center. Dream big! Then make a list of what your ideal daycare would look like. What would make you most comfortable when leaving your child? There are several things to keep in mind when deciding. Is location important to you? It is to most people. Whether the daycare is close to your home or place of employment can have a big impact. Would you like to visit your baby on your lunch break or would you prefer a quick trip between your home and the daycare center? These are important factors to consider. Finding the best care for your child is vital, but cost may also play a part in daycare selection. If you’re spending more on your baby’s daycare than you’re bringing home, it might not be the best option. Some daycare centers offer part-time care at a discounted rate. Cost is certainly something to consider. Would you prefer a small group for your baby? If you’re hoping for plenty of one-on-one interaction with the caregiver, a small “class” may be your preference. If you’re hoping to encourage interaction with other kids, you may prefer a slightly larger group of children. There may be other things of importance on your list. All parents have their own unique requirements. Be specific. Take time to consider what you really want in a child care center and write it down. Once you’ve decided what is important in a daycare, it’s time to begin exploring. A simple search of child care centers on Top Daycare Centers is a good starting point. Pick up the phone and call the centers. Ask them questions to see if they meet your criteria. You’ll know right away whether the daycare will be a keeper. Once you’ve narrowed down the list, you can start visiting. You’ve done the ground work. You know what you want in a child care center and which centers meet your criteria. Now it’s time to pay a visit to the centers on your list, and don’t forget to bring your baby. If you’re hoping to have some one-on-one time to meet and greet the caregivers, you may want to schedule an appointment. Walk around and meet the caregivers and teachers at the daycare. Pay attention to the way they interact with the children. Observe the classrooms and notice how they’re organized. Do the toys and books look clean and in proper condition? Is the staff kind and compassionate? Finding the perfect daycare for your baby doesn’t have to be difficult. Take time to think about what you want. Do your research. Pick up the phone and call. Then, stop by and meet them in person. Most importantly, trust your gut. If you feel good about a particular daycare, go with it. If you feel hesitant, keep searching. There are plenty of great daycare centers to choose from and you’re sure to find the daycare of your dreams by following these 3 simple steps. I appreciate your tip on looking at the location when choosing a daycare. I would imagine that finding one that is closer to home would save you both time and money due to less travel time. My wife and I need to find a daycare for our daughter so we’ll be sure to consider location when we find it. In my opinion, choosing a daycare can be one of the most stressful decisions a parent ever makes. I mean, these people are going to be raising your child for a portion of each day, so you definitely want to make the right choice. I really like what you said about staff to child ratio. I hadn’t even thought about how much one-on-one interaction I want my daughter to have when I send her to daycare. My son is getting old enough that a daycare center could benefit from. We have been looking for a location that fits our style the best. I didn’t realize how important it is to take your child to the center to see if they are comfortable in that setting. That’s something we’ll consider moving forward. I like that you mentioned that you should take your child when you go and visit potential daycares. You should be able to tell from how they interact, whether or not it is the right fit for them. My wife and I have been searching for a daycare for our young son. We will definitely keep these tips in mind as we search. I like that you encourage taking your child to visit the daycare. After all, they’re the ones who will have to go there while you’re away. You want to make sure that they are comfortable before you start leaving them there. It helped a lot when you talked bout taking your child with you when visiting potential child are facilities. I can see that doing this can help you see how they will take care of them and if they will be comfortable there. My sister is look in into this, I will make sure I tell her about this and help her find the best place where her son can be safe. Thanks for the advice for choosing a daycare. Now that my wife and I both need to work, we need to find a place to take our son. We will sit down and make a list of things that we want the daycare to have for sure. My sister is looking for a daycare for my nephew. Considering the child to staff ratio does seem like a very smart thing to do. After all, you want your kid to get the right amount of attention from the staff. Also, I would want to make sure that my nephew has enough opportunities to make new friends. I really like that you recommend to visit the daycare with your child. I can see why this would help you and them feel more comfortable. My wife and I recently moved to a new area and are looking for a daycare to take our children to. I’ll have to make sure that we visit a couple of them in person with them. I like the idea to find a child care center that happens to be close to your home. My wife and I have been very busy with our responsibilities and we want our kids to be cared for at all times. I just hope that we can find a child care facility that could put a lot of emphasis on the importance of education. Thanks for the tips for choosing a daycare center. My wife and I have been trying to find the right care center for our son while we are busy during the day, but we have had trouble narrowing down our options. I like that you mentioned to actually take your child in for a visit so you can meet the caregivers and see how they interact. That could be a good indicator of whether or not they will meet your standards. I am excited to be going back to work but am hesitant to be leaving my baby in someone else’s hands during the day. It is good to know that before choosing a daycare center, one should consider the staff to child ratio. I like what was said about how you need to decide if you prefer a small group for your baby with lots of one on one time. I will be sure to keep this in mind as I interview different centers. My sister and her husband decided that it would benefit them financially if my sister went back to work, and they are trying to find a child care service for their youngest daughter. It is good to know that location is important when it comes to choosing one of these services. I like what was mentioned about the importance of having the child care be close to your home or place of employment. I will share this information with my sister, thanks. Thank you for all this great information about choosing the best daycare for my infant! I really like your point about the convenience of location and cost isn’t always as important as the staff to child ratio. I agree that I would prefer that my baby be in a smaller group, so they get enough one-on-one time with the staff. My baby is about 7 weeks old and we need to choose a daycare soon, so your advice has been very helpful to remember what’s really important. My brother is looking for a child care program for his son that he can trust. I really liked your advice to physically go to the center and see if it meets all your requirements. He would really like doing this on top of all the research. Thanks for the tips! I agree that you need to consider the staff to child ratio when choosing a daycare. Finding out how many teachers and staff there will be would help you know if your child will be engaged. I need a daycare for my son while I’m at work, so I’ll have to find one with a good staff to child ratio. I love that you mention to look into the staff to child ratio. It would never have dawned on me to think about something like that when looking into a daycare center. I have been looking for a daycare for my three kids, and now I have some better tips on what to choose and look for! These are some great tips for finding a good daycare. It’s nice to think about child to staff ratio, which is something I hadn’t considered before. I’d want my little son to have some personal time with someone who isn’t me. A small group of kids would be best, I think. Thanks for the advice about scheduling an appointment at the child daycare center if you want to have one-on-one time with a caregiver. I’ve been visiting a few over the last two weeks, but I want to make sure that my daughter’s peanut allergy will be treated seriously. Maybe I should schedule an appointment so I can ask the center how they deal with allergies. I loved when you mentioned how you should look for a child care center that is in a convenient location for you. It makes sense to think that doing this can help you save a ton of money and time when dropping off or picking up your child. We are planning on moving to a different town and want to make sure we find the best place where our little girl can be safe and interact with other kids, so I’m glad I found your post. It’s awesome that this article talked about considering having the daycare close enough you can possibly visit during work hours. I have a cousin who is looking to find a part-time daycare for her baby boy. I’ll be sure to talk to her about considering the location so it’s convenient for her. I am glad you mentioned considering the cost of each child care center. I am finally preparing to go back to work and am searching for an infant daycare for my baby. I really appreciate the information on how to pick the best daycare. I like how you point out that it’s important to consider if you’re looking for a one-on-one ratio, or if you’re hoping to encourage interaction with other kids. My sister had a baby several months ago but she is now getting ready to go back to work, and she wants to find a good daycare center that will be a good fit for her baby. I know she wants her baby to be nurtured and closely watched, so I will recommend that she keeps that in mind while checking out different places. My wife and I are looking for a daycare to enroll our son in soon, so thanks for sharing these tips. I like your point about choosing a class that is small and has a good staff-to-child ratio. I want my son to get individual attention when he needs it, so I’ll be sure to look for this. It sure was nice when you said that once the person has found the daycare center that they think is best for the kid, it is best to pay it a visit to see how the caregivers are interacting with the kids. I will mention this to my sister since she is the one with the daughter. Of course, she will be leaving her child in the center for half the day, it is best to make sure that she chooses one that is most reliable. Thanks! I appreciate that you say when looking for a preschool you should make a list of the most important things you are looking for. I am planning to go back to work for the first time since having our daughter, so my husband and I want to find a quality preschool for her. I will make sure to look at the staff to child ratio and make sure my daughter will get enough attention and be in a small class. My sister has been looking for a good daycare center but she doesn’t know where to start so I wanted to look up a few tips. I really appreciated looking a the staff to child ratio. I think that having a small class and having more one on one interaction is important. Will you be interested in adding your daycare https://athaniachildcare.com/ in our directory? One tip that I never would’ve thought to do is to take your kid with you into the daycare facility, and see how they interact with the caretakers. My wife and I are very hesitant to hand off our child to a stranger, so I like the idea of knowing which caretaker our child will warm up to the most. I will be sure to let my wife know that we should schedule our appointments to daycares when our daughter can come with us! My husband and I just had our first baby, but we aren’t sure who will take care of her after I start going to work. 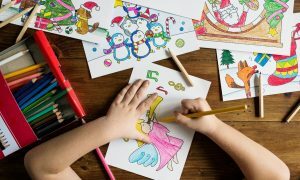 Your article had some great tips for choosing choosing a good daycare, and I liked how you mentioned to keep the staff to child ratio in mind. I want my daughter to interact with a lot of other kids, so I’ll keep this in mind when choosing the daycare best for our new girl. I recently had my first child, and its almost time for me to head back to work, but I’m not sure who will care for my child while I’m gone. Your article had some great tips for choosing a good child care service, and I liked how you said consider the staff to child ratio. I would rather have a small class of children allowing plenty of one-on-one interaction with the caregiver, and I’ll keep this mind when choosing the daycare service best for my daughter. My aunt will be having her sixth child soon, so she wants to put her younger children into daycare while she rests up. I love how you mentioned that you should take into account whether or not you want a daycare close to your work or home, as you’ll be able to take quick visits at lunch. My aunt should definitely read these great tips, so I’ll make sure I share them with her. Thanks for explaining how you want to find a daycare that is close to your home or work. Finding something that is close by would be helpful because it would make pickups and dropoffs much easier. My husband and I need a daycare for our son now that we both work full time, so we’ll have to find one close by to help out. I like what you said about finding an infant care service close to home. I think that location is very important and convenient in terms of finding the best center for my child. My wife and I are thinking about infant care services when the time is right to transition our toddler, so we’ll make an effort to find the best place in town. It caught my attention when you said that I can make a list of the things that I want the childcare center to have and make a basis using that. I will grab a pen and paper then since there are so many things that I want my kid’s daycare center to have. Including clean restrooms and play areas. Hopefully, though I can find one that has all the traits that I am looking for. I really appreciate these tips on finding childcare. My husband and I need to find the right childcare for our daughter. I’ll have to do some research and find the best childcare in our area. My sister wants to make sure that her children will be taken cared for because she will be going back to work. It was suggested here that she should make a list and consider the location of the daycare. Furthermore, it’s recommended to go to trusted institutions for quality daycare services.